One of the issues in this fall’s Louisiana governor’s race is bound to be the insanely-high rates motorists have to pay for car insurance, something which has been a problem for a very long time and never seems to get any better. 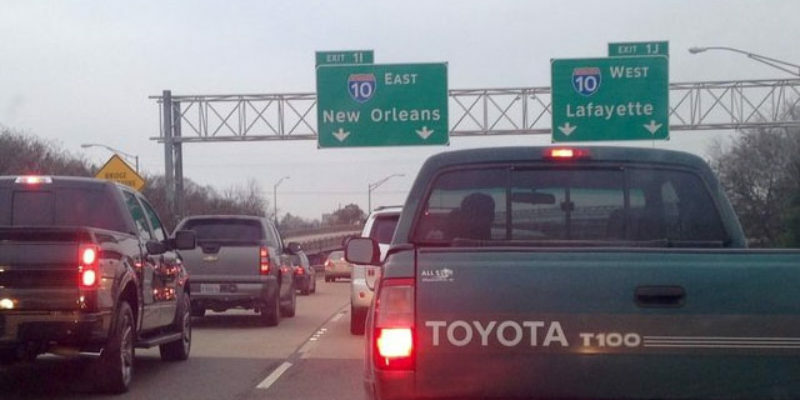 Louisiana is cursed with the nation’s second highest car insurance rates, with only Michigan somehow worse. There are lots of factors contributing to the problem, among them that Louisianans seem to suffer injuries resulting from car wrecks more than anyone else – a perplexing fact which likely has more to do with the state’s overabundance of plaintiff lawyers than the brittle bones of our citizens. Another factor is a lack of competition in the car insurance market in the state, as many auto insurers vacated Louisiana during the period when three straight insurance commissioners went to jail for malfeasance in office. But there’s good news on this score – finally. Yesterday Insurance Commissioner Jim Donelon made an announcement which will directly affect rates for more than a million of us in a positive way. Insurance Commissioner Jim Donelon announces his approval of a rate decrease for State Farm Mutual Automobile Insurance Company. Over the last eleven months, regulators have granted approval for three rate decreases for coverage on private passenger vehicles. The total impact of the rate changes taken together is -7.5 percent. Donelon says last year saw something of a peak in car insurance rates in the state based on factors like cheap gas resulting in more miles driven and more sophisticated new cars on the road resulting in higher costs to fix them after accidents, and the rate reductions from State Farm – which probably will result in similar decreases from other carriers in the market, offering good news on the way for the rest of the state – reflect a market which seems to be healthier than it was. To really drive those rates down, though, it’s going to require safer driving and a less litigious populace. That’s something Donelon doesn’t have a lot of power to make happen. We’ll take what we can get – particularly when it’s a rare instance of good news coming from state government in Louisiana.